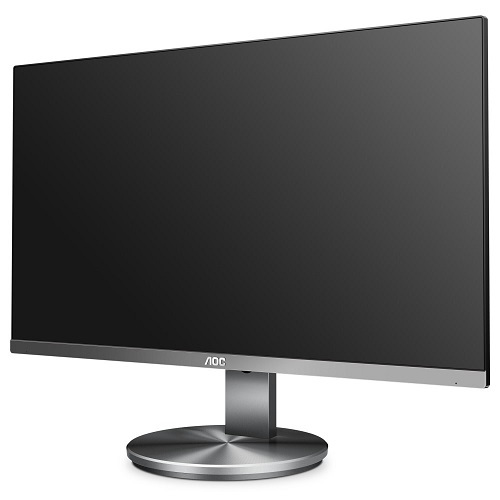 The AOC I2490VXQ from AOC’s 90 series (Pro-line) brings an appealing design and functionality together for business users and prosumers. Its 23.8-inch IPS panel produces crisp, vivid imagery in Full HD resolution, offering viewing angles of up to 178°. The 90% NTSC and 100% sRGB gamut coverage is accompanied with an accurate colour reproduction and good colour uniformity, delivering the needs of photo/video editors. 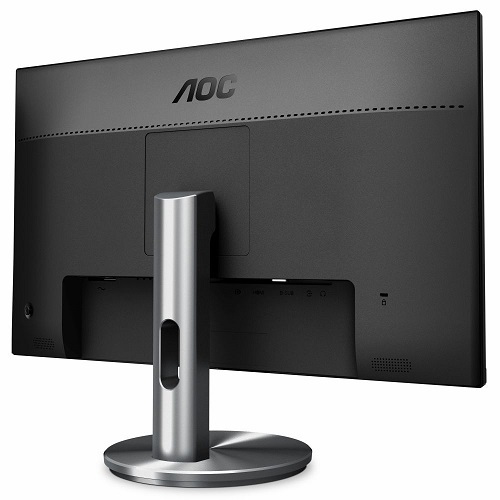 • AOC Flicker-Free Technology utilises a DC (Direct Current) backlight panel, reducing flickering light levels. 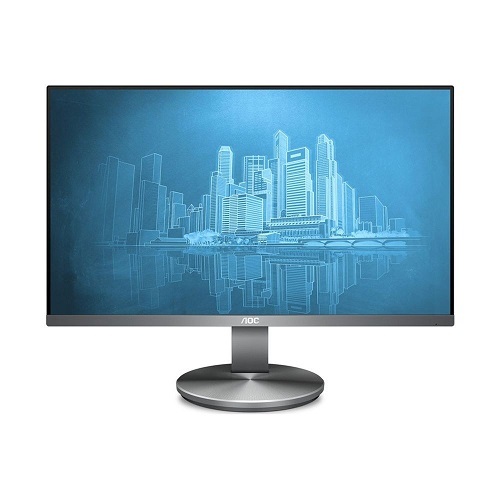 With eye strain and fatigue absolutely minimized, feel free to enjoy those long, intense gaming sessions in comfort! • Kensington Lock is an anti-theft system, comprising a metal-reinforced hole in the body of the respective device, to use with a metal cable secured with a key/lock system. 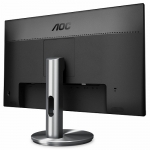 Kensington locks enable you to secure your AOC monitor during a LAN event, an organisation, or wherever you carry it. • Built-in speakers make it easy to catch up with family, friends and colleagues. For movies, music, games and more, you’ll enjoy quality audio without the hassle of connecting external speakers. • When you are enjoying photos, videos or games, we want your screen content to look as lifelike as possible. That is why this display comes with Wide Colour Gamut technology, which means that it is able to display a lot more colours than conventional monitors. This is achieved through a special hardware solution, not through mere software adjustments. The result: true-to-life images with fine details that become visible thanks to the broader colour palette. • 3-Sides frameless design of the monitor lets the user focus on the vivid display, and onlookers will enjoy the sleek and modern look from every angle. • No matter if you are viewing photos, videos, a magazine layout in InDesign or playing your favourite game – we want your content to look excellent from whatever angle you are seeing it. That is why this display comes with an advanced IPS panel, which produces brilliant colours and offers wide viewing angles. This way, images always look excellent and accurate, regardless from which angle you – or your friends and co-workers sitting or standing next to you – are looking at the screen.